Monsieur Salut writes: if I cannot actually see Griffin Park from where I write, I could walk it in 15-20 minutes. I have lived in this part of west London for 30+ years. My younger daughter’s first senior game as a player was a 5-5 draw in the red and white stripes of Brentford (she scored though with a scoreline like that, so did a lot of girls). Our Who are You? 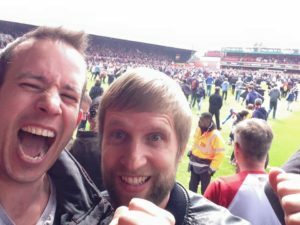 interviewee Jon Restall* – part of the highly active Brentford fans’ network Beesotted will miss the little old stadium when the club moves to a new home. Jon is a Bees fanatic and gets to loads of games. Salut! Sunderland: we’d get nose bleeds looking up the table that far to find where you are (10th after Saturday despite dropping two points at home). Happy with the season so far? Tell us your feeling about the planned move from Griffin Park – – sorrow at leaving or excited at having a modern new ground, albeit with a small capacity? Naturally we are sad to be leaving Griffin Park – it’s a proper football ground and often loved by away fans (the four pubs help!). The move to a new stadium can only help our long term sustainability (and ambitions of Premiership football) but it’s essential that it’s got character and atmosphere. 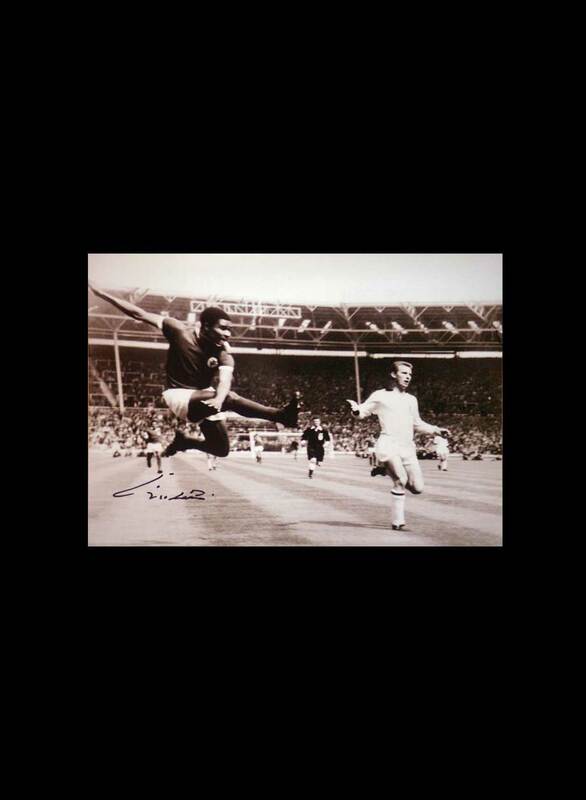 When Billy Grant did the honours for before the game at your place, he said Middlesbrough was your best away day. 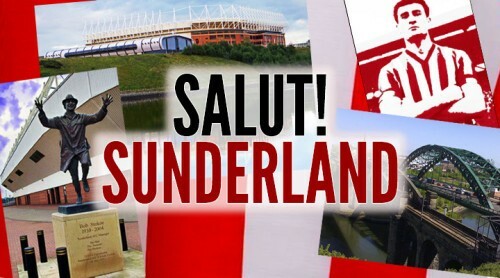 Surely you’ll have a better time in Sunderland if you go! 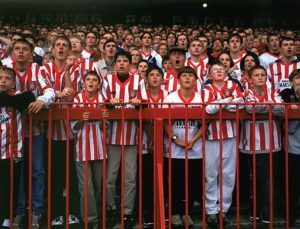 A lot of our fans are excited about a trip to Roker Park (cough) and I’m sure the hospitality on Wearside will match that on Teesside. Let us know if you’ve got any quirky pubs. We love a quirky pub. And a random ale. The team play pretty well as a unit so arguably fewer players stand out. Romaine Sawyers has stepped up well this season behind the striker, Ollie Watkins is a cracking prospect and we turned down £8m from Bournemouth for emerging centre half Chris Mepham in the window based on a few assured performances in the first team. And is the ownership/head coach set up – Matthew Benham owner, Cliff Crown chairman and Dean Smith in charge of the team – working for you? The structure of the club is working really well. Cliff doesn’t have a significant day to day impact, so a lot of the credit needs to go to Rasmus Ankersen and Phil Giles our directors of football who have helped us successfully recruit over a number of years now. Realistically how far can they take you? Our stated aim is the Premier League. We’ve had a number of players who have ended up there over recent years – james Tarkowski, Moses Odubajo and Andre Gray– and we continue to develop real talent. Keeping a squad together to get us there has been difficult, particularly when other clubs can pay higher wages but we’ve put in a B team set up to try and produce a conveyor belt of young talent that is ready for first team football. We’ve had a wretched season. But were your surprised by our second-half collapse at Griffin Park, probably lucky to get one point let alone the three we seemed set for at half time? You certainly weren’t the worst team that we’ve seen at GP this year – Burton and Bolton were poor and Derby just parked the bus – but I suspect Dean Smith’s half time team talk revolved around your capacity to let in goals. I thought Watmore looked really good that day, it’s a shame he’s picked up an injury. Grabban obviously played well too, but I suspect it’s best not to bring him into conversation at the moment. I thought your midfield struggled with our swift movement of the ball which left your defence exposed. 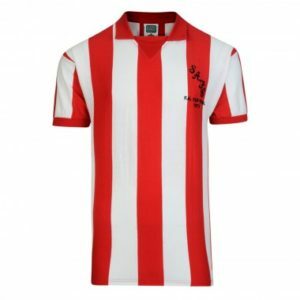 Best players you’ve seen in Brentford’s excellent colours? A lot of our most talented players have played for us recently to be honest. We’ve seen brilliant loanees before – Jordan Rhodes, Alex Pritchard and Wojciech Szczesny – but for many supporters the Spanish wing wizard Jota really stands out, partially due to a number of last minute goals against Fulham. My own heroes include Jay Tabb, Dean Holdsworth and Andy Sinton. A couple of the current crop could be superstars too – Chris Mepham is a very assured defender for his age. Yes we’ve had some absolute stinkers. Peter Beadle who played for ten minutes in our opening game of a season, got sent off and then we sold him. Lorenzo Pinamonte (affectionately known as “Pin-the-tail-on-the-donkey”) who was a really crap Italian striker – I missed his only home goal because I was having a pee. We had a loanee defender called Lewis Emanuel who claimed to have got lost on his way to a game because he didn’t really fancy it. And I have to mention Murray Jones, a truly slapstick attacker. Best times and worst times as a fan? Good times – promotion to the Championship at a canter on Good Friday. Winning 4-1 at Fulham in our first meeting for years. Winning the League 2 title away at Cambridge (I was wearing a Ron Noades white wig that day which I try to put behind me). Bad times – we’ve lost every final we’ve played at Wembley or Cardiff in my lifetime including breaking the “lucky changing room” at the Millennium Stadium despite leading after two minutes. We are dreadful in the playoffs too. Any thoughts on Sunderland: the club, the fans, the city & region, Chris Coleman? My brother-in-law is a Sunderland fan so I’ve always kept an eye on them and it’s a shame to see you in decline at the moment and you’ve got a good dedicated fan base. Obviously we enjoyed our “giant killing” against you in the FA cup many years ago when DJ Campbell sat Gary Breen on his a*** for a late winner. I personally dislike Chris Coleman – he’s an ex Foolham player after all. He might do a decent job for you as manager though if he is given time to bring through a new young team and to get rid of some of the expensive liabilities that remain from the Premier League days. Hand on heart, where will our teams finish? I think we will finish tenth. I think you could avoid relegation but worry that you are pretty reliant on young players up front if Ashley Fletcher doesn’t work out. ut I hope you are still in the Championship next season. And would you take anyone from our squad? I would take a fit Watmore, I think he’s a good player. Joel Asoro looks like a decent young prospect. I’ve always quite liked Aiden McGeady too because of his eye for goal but I know he’s not been very consistent for you and I don’t think he’d get in our team, particularly with Alan Judge on the mend. Mauricio Pochettino seemed to be saying the other day that diving isn’t important. Is he mad, bad or got a point? Gamesmanship is all part of the game unfortunately, we’ve always been terrible at it. We had Sergi Canos sent off at Derby last weekend partly because their senior players crowded the ref after his tackle. But I don’t think any supporters like seeing any players dive, including their own. Will you travel up for our game? What will be the score? I am not coming personally – it’s the wife’s birthday and she refused a romantic weekend in Wearside…. But the Beesotted crew are coming up in numbers and are very excited about it. My mate’s son Harry is Brentford’s mascot that day too. I think we will win 2-1. * Jon Restall (@thecondorman) on himself: I write for and share the twitter account for @Beesotted – the Brentford Fans network. 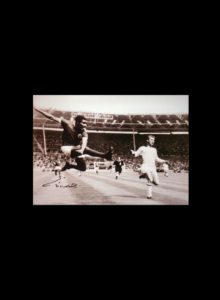 I’ve been a season ticket holder for about 18 years and still believe that shrieking when an opponent is about to shoot or take a corner somehow helps us win. I’ve got young kids who sometimes come to games – they offered crisps to our substitutes recently while they were warming up. Photo attached of the day we got promoted to the Championship. 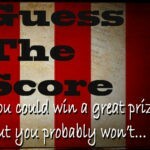 Sunderland vs Brentford prize Guess the Score: a win for a win? Brilliant. This made me laugh out loud. 30+ years ago, I too lived, and worked, round west London. 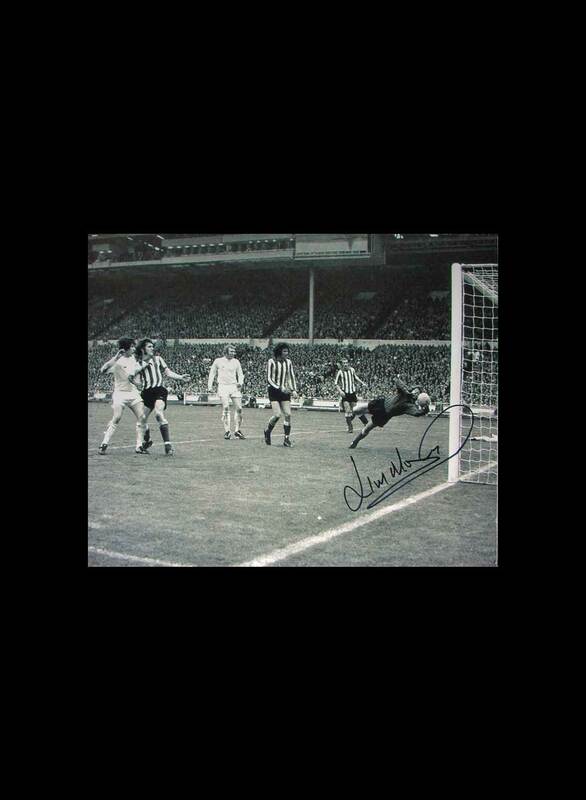 I cycled to see Brentford versus Sunderland in about 15-20 minutes, when I was young, slim, fit and fast.